Founded in 1998, Rescue the Animals, SPCA covers over 20 West Texas counties helping homeless animals, promoting spay/neuter, and fighting animal abuse and neglect. We are a 501 C 3 non-profit making all donations tax deductible, and all of our funding is from private donations. 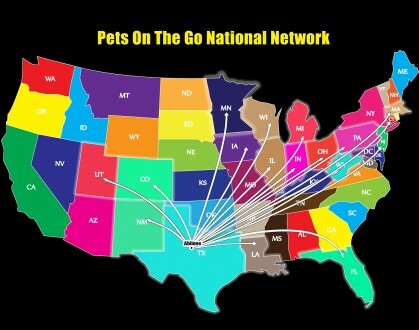 Our Pets On The Go Nationwide Network is moving record numbers of animals all over the nation. We bring animals from pounds all over the Southwest to our Transportation, Rehab, and Adoption Center in Abilene and hold them until they can be sent to rescue groups that have homes waiting for them. We have the only Center in the nation dedicated to these transfers! Other rescue groups locate animals on the internet in kill shelters and ask us to hold them until they can take them. 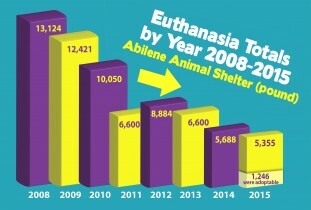 Our extremely successful marketing program for animals held at the City of Abilene Animal Shelter has made a dramatic progress. 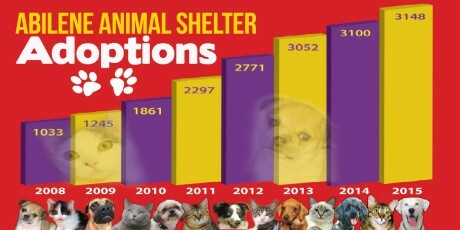 We spend thousands of dollars each month on advertising for the City of Abilene Animal Shelter. We also give $20 mail-in rebates to stimulate adoptions. 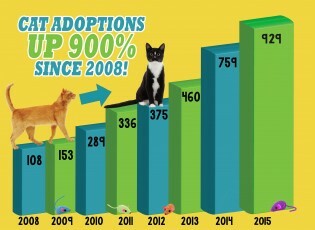 The City of Abilene supports our efforts by reducing adoption fees many months of the year and coordinating sales events. The following charts show the incredible results of this joint program since 2008. We work with law enforcement officials in over 20 West Texas counties in investigating animal abuse and neglect cases. By providing tuition for officers to become certified as abuse investigators we have created an effective network to fight abuse and neglect all over West Texas. Rescue the Animals, SPCA Named the Outstanding Humane Organization In America! 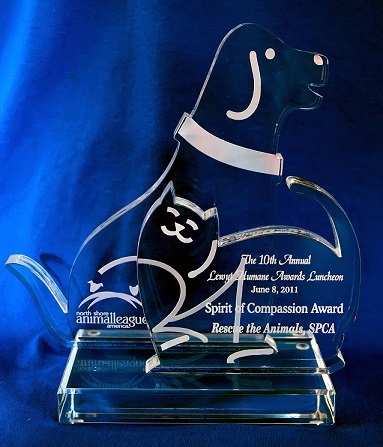 The national 2011 Spirit of Compassion Award was presented to Rescue the Animals, SPCA by the North Shore Animal League America, the world’s largest no-kill animal rescue and adoption organization. The North Shore Animal League America selects just one humane organization in the entire nation each year to receive the Spirit of Compassion Award. We are very honored by our selection for this national award. We see it as recognition of the compassion people all over the West Texas have for animals.